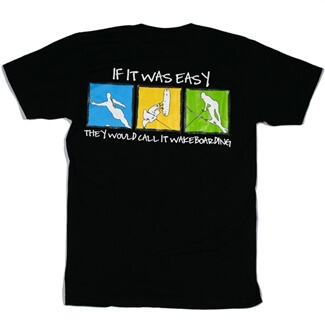 How do you improve upon the world record holding ski? This was the challenge posed to our R&D Team. After extensive research and countless hours of testing our effort to improve the Quest has been achieved. Introducing the Quest 45. By changing the torsional flex of the world record holding Quest the new Q-45 delivers a whole new level of performance. Each Q-45 features D3 Quadaxial Technology which limits twist in the tail of the ski and enhances twist in the fore-body of the ski thus improving edge hold and resulting in an earlier line to the next buoy. Wake stability has been improved and cross-course hold has never been better. By modifying the angle of the carbon fiber weave we achieved greater torsional rigidity in the last 24” of the Q-45 without any increase to the longitudinal flex. Adjustments have also been made to the fore-body of the Q-45 to allow greater torsional flex without any decrease in longitudinal flex. Our test team of skiers all agree the new Q- 45 is the best Quest yet. The shorter the rope the more apparent the new Q-45 improvements are when compared to previous Quest models. The Q-45 still features stable, predictable turns due to the large bevel pattern and still boasts the most balanced ride and symmetrical turns on the market. Ride one and feel the difference. The Q-45 is available in both standard flex and a softer flexing version for our lighter weight competitors called the Quest 45 GS. The 2015 Quest 45 comes standard with the R-30 Rockerblock. R-45 and R-60 Rockerblocks are sold separately for the ultimate in adjustability. R-30 ROCKERBLOCK pat pending – Standard equipment on every Quest. This fin clamp system creates rocker over the last 8”of the ski. When mounted, ROCKERBLOCK delivers additional rocker shape where it matters most. The patent pending ROCKERBLOCK delivers a feeling that can only be described as “game-changing”. 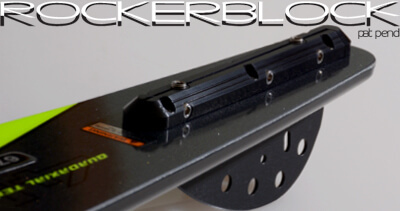 Skiers who experience ROCKERBLOCK for the first time are shocked by the angle they can easily create and maintain. *Also available in R-45 and R-60 models. Resulting in the lightest, strongest construction with lightning fast rebound. Additional tail surface area creates lift, reduces skier effort and keeps the Quest riding level. From tip to tail the Quest bevel assembly has been designed for uninterrupted water flow creating consistency and stability previously thought impossible. A reduced attack angle delivers maximum width and stability. The fore-body of the Quest allows the skier to easily transfer weight to the tip with minimal body movement. The Quest engages the off-side turn with amazing ease. The Quest has the unique ability to make the skier feel confident at all times. The tip stays low, the ski never bites out of the turn and the Quest creates space before each turn that must be experienced to be understood. The flat area expedites the skis ability to move fluidly from edge to edge. The ski casts out to the apex of the turn with the skier in absolute control. The Quest comes standard with inserts to accommodate both D3, Reflex and HO bindings. Also available with no inserts for dual–lock application. The D3 production facility located in Ellensburg, Washington USA is “state of the art” in every way. Each ski is carefully inspected and must pass strict criteria for rocker, flex, weight and flat spot before it receives a serial #. All D3 skis are documented and filed under their born-on- date and serial #. 64", 65", 66", 67", 68"